This is your weekly reminder that NHL players are the toughest athletes in sports. Sunday night, the Penguins went back-to-back to win the Stanley Cup for the third time in the Sidney Crosby era. Keepers of the Cup. #BackToBack #StanleyCup Champions. More importantly, though, now that the playoffs are over, the injury details for players are out and the injures a couple Penguins played through are as ludicrous as the other injures we've seen throughout the postseason. We'll start with Penguins defenceman Ian Cole. The 28-year-old played just over 18 minutes a game for his team, and he did so with a broken hand and broken ribs since early in the Capitals series (second round). Ian Cole played with a broken hand and broken ribs since early in the Washington series. It was well worth it, though, considering the result of his hard work and toughness. Ian Cole on #Pens winning the Cup with back-to-back shutouts: "Not too shabby for a D corps that wasn’t very good." Nick Bonino, on the other hand, didn't play in the final four games of the series thanks to a broken tibia he suffered in Game 2. However, after blocking a P.K. Subban blast in the first period of Game 2 (which caused the injury), Bonino somehow played another 11:52 on a broken tibia. 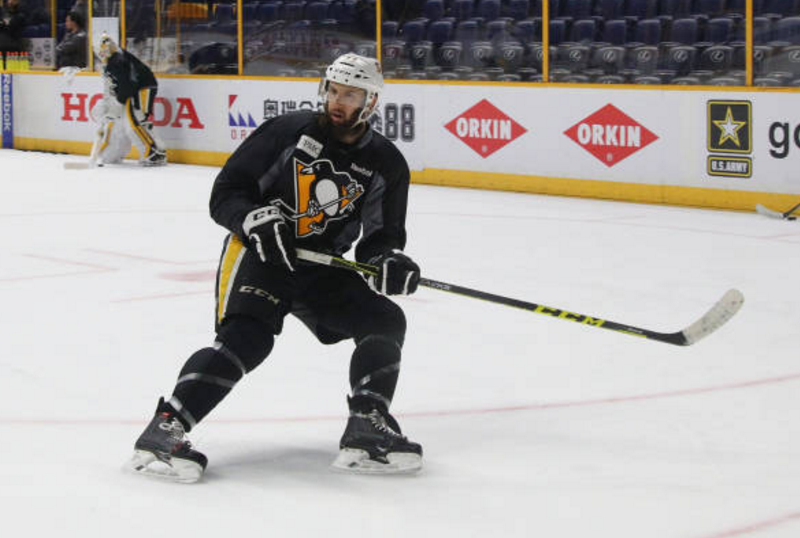 Nick Bonino said his tibia was broken all the way through. 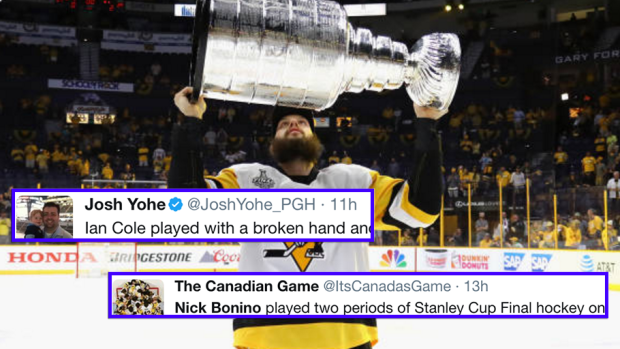 Nick Bonino played two periods of Stanley Cup Final hockey on a broken leg. Tibia was broken all the way through. A true hockey player. Not only did he play in Game 2, but he attempted to practice to dress for the remaining games. Again, it was worth it. Hockey players are a different breed of athlete and they proved that time and time again throughout the 2017 Stanley Cup playoffs. At the end of the day, though, the injuries were nothing compared to winning the Cup and celebrating.